given service number 16 effective from 12-Apr-2015. given service number 43 effective from 12-Apr-2015. It will take some getting used to not having a 43! given service number 50 effective from 12-Apr-2015. given service number 51/51A effective from 12-Apr-2015. given service number 5/5A effective from 12-Apr-2015. given service number 21/21A effective from 12-Apr-2015. given service number 33/33A effective from 12-Apr-2015. given service number 46/46A/46B effective from 12-Apr-2015. Formerly the 11 11A and 11B! given service number 46 effective from 12-Apr-2015. given service number 79/79A effective from 12-Apr-2015. given service number 12 effective from 12-Apr-2015. The opportunity has been taken to renumber the former Western Greyhound routes from their 500 series. This was the 576, but of course someone else already has the number 76 in use! given service number 73 effective from 12-Apr-2015. given service number 74 effective from 12-Apr-2015. given service number 11 effective from 12-Apr-2015. Formerly the 593. In an ideal world I am sure this would have become the 93 but that number is already taken. Well thats one of my 2015 predictions out of the window! It will be interesting to see how First respond to this one. If you watch their Facebook page you will see quite a few complaints about missing buses on the 2 as being one of the more frequent routes its easier to take buses out than from other routes. Expect to see some quite generous fare deals coming up from First fairly soon! Ugo Mount Batten? There was a time when First were on the up and they were clearly proud to run to Mount Batten. This is a typical example of VOSA registrations telling you nothing at all! I guess we will have to wait a little longer before we find out where this one is going. At first I assumed this was just a new school run, but then its down as Monday to Sunday? Great Yarmouth Bus Page: 37573 enters service! 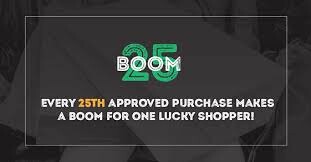 I wonder if 29/29A changing to 51/51A is because of the changes to the 43 and 50. So that the main trunk on that side of town for both routes - Victoria Road through to the City - have consecutive numbers ie: 50 and 51. This would also explain why it became 50 all the way through and not 43 as 42 and 44 are already in use. 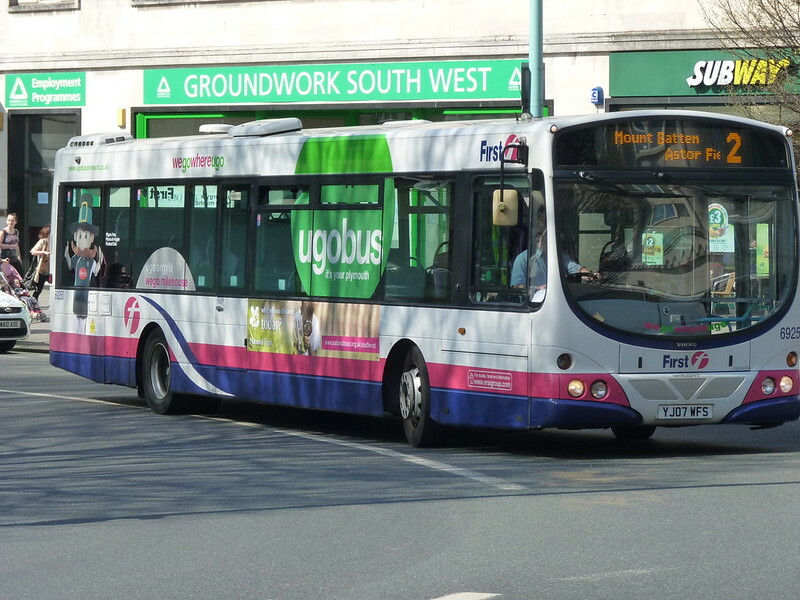 On the Plympton section 20 and 21 operate, Southway is 40 and 41 and with the new Mount Batten service, Plymstock is 4 and 5, Eggbuckland has 27 and 28 and Mount Gould has 23/24 and 11 and 12 too in Cornwall. Anyway just a thought. As 11 and 12 are going to Cornwall I would assume the 10 is as well? I understand Citybus and greyhound have a 2 year agreement not to encroach into each other's areas so where else could it go to?? Nice to see a 78 as well as it goes to stoke climsland I wonder if the 12 will come out of there? The 29/29A is changing to the 51/51A to bring in a consolidation of route numbers; how with the 5/5A and the 43 now becoming the 50, and now with the 51/51A, anything with a 5 goes to St Budeaux. And no details yet of the new Citybus route 22 which is going to replace some or all of the Target Travel 53. As a Citybus driver life certainly has been interesting over the past 12 months or so! Surely First will have to respond to the incursions into mount batten . They seem to have done ok on the 3a and 6 brought in in response to pcb tavi and torpoint routes so why not a whitleigh or southway route? Notice first Devon are advertising for more drivers as pf yesterday could this be for a fight back in Plymouth? You would think that First will have to respond. I am still not convinced on their 3A and 6 - they may carry a few passengers but at such low fares is it really worth it? They seem to think it is so maybe it is working. As for recruiting drivers - they are always after new drivers, as is Citybus a lot of the time. I thought that they were short of drivers a while back, not sure if this is still the case now though. I do hope First have something up their sleeve, as Citybus / Plymouth do need decent competition! I cant see how First can not respond and it will need to be a rival service on one of Citybus main routes I would say, Whitleigh or Southway (again!) would be the best bet, or at least that's what I would do...it would force Citybus to drop fares and loose more revenue on these routes as well. Any idea what route. What is a long route exactly? Far to early to say I am sure, but I wonder if the 12 plate Volvo's are allocated to new service number 4. Encourage passengers to try the new service with new high quality vehicles! A great, great pity that Citybus is going for 12 as the service number for the Callington service -mthat has been 76 without a break since 1931. There is no reason why they cannot use 76 if it follows much the same route as First's 76. They would appear to be carrying more passengers than Foirst on this route, so 76 could disappear if First give up here. It looks as though the 78 is designed to give St. Dominick some sort of a service to Callington - although not a day-time service to Plymouth. I imagine the Stoke Climsland bit is to cover the Downgate journeys on the 576 - and perhaps allow the 12 to Launceston to keep to the main road. I can see why they want to keep the numbers separate. It looks like the 10 will be serving Saltash to replace the 5 which will then give a 10 11 12 service from City to Saltash corridor. Come on Graham! !,never heard of Sunday School??! !,in regards to the 78!!. That would be a lot of fuel etc though. I do however feel that a loop route for the north and east of the city would be good idea, along the lines of 3 and 3a over the south and west of city. I would like to see something like you suggest, take in as many of citybus areas as possible with 1 route! The long circular routes which go all over the place sound great in theory but struggle to make much money - hence the old 46/47 was pulled. Most passengers want a bus which goes straight from their place to town, or wherever they want to go. They don't want a tour of Plymouth as the bus tries to serve too many places at once. 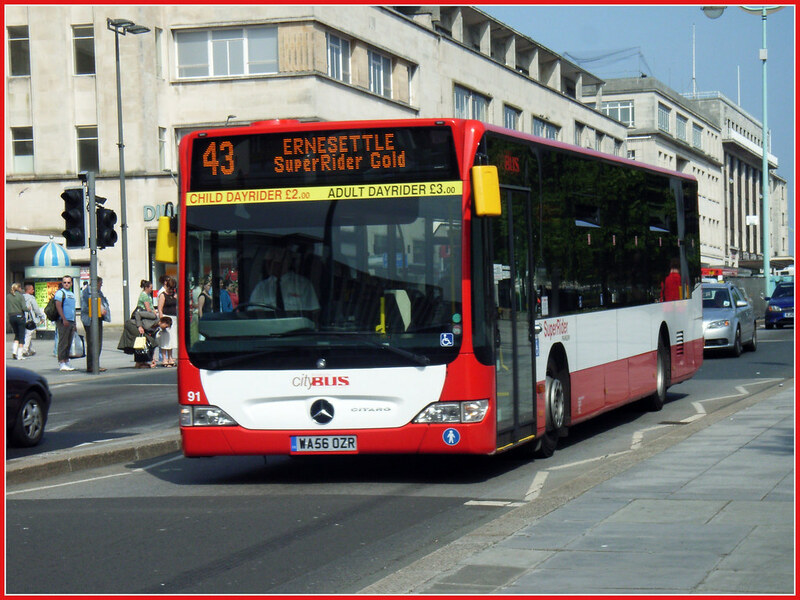 I want to see First Group order some new buses for Plymouth as we are in need of them!! then routes will be more profitable like some newer Volvo B7's to make route more attractive and some Wright Streetlite Micro hybrid to save money and maybe some new park and ride buses, this is a lot to ask I know but it makes sense to compete with CityBus. CityBus have 55, 56, 08, 12, 63 plate buses. I know First have 55, 56 and 08 buses but they are Darts, tridents and two Enviros. Not the Citaro's, Volvo's and Enviros. I know they are more expensive to run but to make first popular again, they need it!! You have to make a profit to be able to buy new buses. I find it hard to believe that they even cover their running costs with their low fares in the Plymouth area. More than likely other areas of the country including Cornwall are paying for these cheap fares in this area which does not seem fair to me. Perhaps if they paid their drivers a better wage and charged a realistic fares to passengers they might be able to buy new buses. And you think the average passenger even notices, let alone can tell the difference between a Citaro and a B7? No. They will notice if it is dirty, uncomfortable, too cold/hot, if the driver is miserable, but most of all they notice if it is on time. Okay, first of all First is a bit company that are capable of buying brand new buses for most of the country and bringing a few second hand buses down here like the B7's would hurt and secondly I think they do know the difference! Passangers where not happy when first moved the new buses off of the 83/86 in place of tridents also with the situation of the Park and Ride, newer buses are also more reliable therefore it's is easier to keep to a timetable. The problem is that First Group is in a large amount of debt, brought over from the years of a 'let it be' culture. The see there future in the rail industry, yet they have lost two of the biggest franchises they owned Capital Connect & Transpennine. They have lost out on the West Coast & East Coast, and there only hanging on to the Great Western because the government can't be bothered with it until after the IEPs have been introduced. Most of the buses they have bought new where for the Olympics and Commonwealth games events, these have now passed, so I think its more likely to have a vehicle interior refresh with some of the newer buses to replace a lot of the step entrance buses. Note the transfer of some First London buses to Leicester & Bristol. 69 Liskeard to Looe via Duloe - used continuously from 1930 to 1969 - when did this cease? 70 Liskeard to Looe via St.Martin - used continuously from 1946 to 1969 - when did this cease? 71 Liskeard to Rilla Mill via St. Cleer and Crows Nest - still in use in 1969 - when did this cease? 73 Torpoint to Liskeard direct - used continuously from 1949 to 1969 - when did this cease? 81 Torpoint to HMS Raleigh started in 1968. My reference is ‘The Years Between’ (Crawley and Simpson) and I am sure someone with a reference set of timetables will be able to plug a few gaps. 20:43 the additional service on the new route 12 comes from an extension of the 79 every hour. The buses used on the 79 service need to be short wheel based as they need to serve Calstock, Harrowbarrow, etc. These will be the recently acquired Optare Solos, etc (which PCB have already started using on the 79), which are not used for Plymouth services as they aren't big enough so PCB are not using buses taken from city services. Recently PCB have started using quite a few double deckers on the 16 service, maybe they intend introducing double deckers at 20 minutes intervals instead of single deckers every 15 minutes. As always we will wait and see. If First were pro-active they would improved their services in Cornwall without reacting to competition. First Group dumped a lot of Cornish bus routes a few years back, now they have had a change of heart and want Cornwall back and want the traveling public of Cornwall to be their best friends again, why would they want to be? Reading the information in the citybus website sounds like brand new double deckers coming in the summer- in yellow flash for 50! 30 minute buses between Callington and Plymouth is a waste of money. There will not be enough passengers to support that level of service. Instead of increasing the frequency of service it would have better served them to keep to the current schedule of hourly and provide more modern buses. Not the hodge podge of buses they currently use on the route. The 78 Time table is another joke. With the money they are throwing down the drain trying to run the Callington service they should put into serving St Dominick and Stoke. Provide those villages with a service and promote that they are doing so. Let the villagers know that they have to use it if they want to keep it. Callington has serviced with an hourly bus service for decades, it can continue to do so. If I were First I would pull out of the 76 route..if Citybus want to run every 30 mins let them have it, I give it 2 months before they are cutting it back again. i don't think First do well on this route anyway even against the old WG. 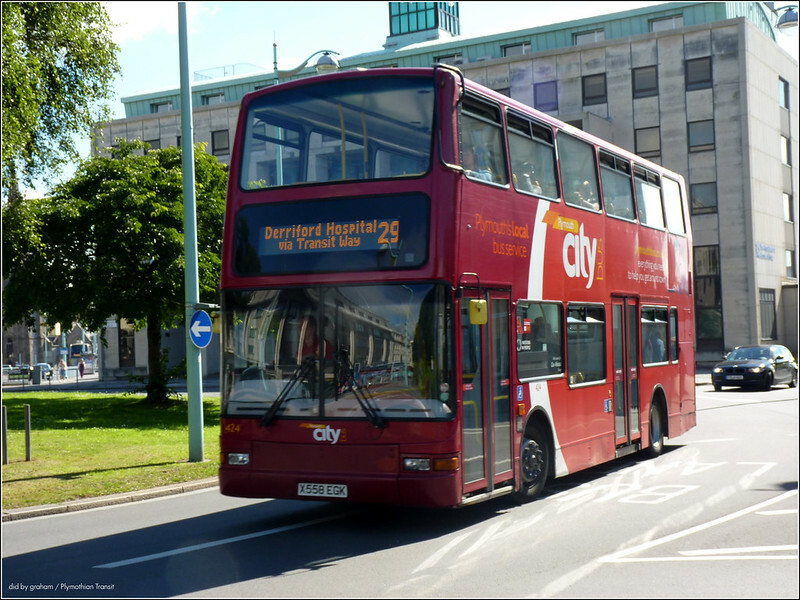 They could better use the 76 resource in Plymouth competing against Citybus in the estates where with the lower fares they offer should bring in more customers/revenue for less mileage. The resource from this route I am sure could cover a Southway type route. 10:06 you are wrong about an hourly service for decades, the WG and First services have run a 2 buses an hour service since 2009, at first WG ran an hourly service with First running an hourly service from Callington to Plymouth approximately half an hour after WG. Later First ran 5 minutes ahead of WG, leaving 55 minutes between buses, (not good for the passenger). I have caught the 76 and 576 many times through St Dominick and more often than not no one got on or off in either Ashton or St Dominick, why drag all the passengers on the bus around this route adding about 10 minutes to the journey time when from my experience no one got on or off. This route on a narrow country lane is not suitable for buses, especially when you meet another vehicle coming the other way, I don't blame any bus company for not wanting to use this route. This route is a left over from Western National days when less people had cars. There are many villages the same size or bigger than St Dominick off the A388 which don't have a bus service but no one is demanding one for them. Oh, dear - here we go again. This time it's Stoke Climsland which has drawn the short straw. I agree that half-hourly is very generous for Callington to Plymouth - except, of course, that it’s now three buses an hour as the First 76 is still there. I have my doubts as to whether any new traffic will be generated - all that will happen is that the passengers who use the First service will continue to do so and Citybus, instead of carrying a good load on each trip, will now carry half that load on each trip. I don’t see the point of Stoke Climsland losing nearly all its service - it only saves five minutes and I would have thought Duchy College is a worthwhile traffic objective; if it isn’t, then it surely should be as not all the students have cars. The new 12 does offer travel-to-work journeys in the morning from Stoke to both Plymouth and Launceston - but I cannot see on the timetable any way for these people to get back home again. The 78 does seem to be a token service - and passengers wanting to use it to get from Stoke to Plymouth have a poor connection in Callington as well as problems getting home again. It is a pity, too, that the 74 is no longer an hourly service - one of Mark Howarth’s achievements with WG was to have regular headway services, most of them hourly, to places which had never seen such generous provision before. It would seem that this, too, is being sacrificed on the altar of playing games with First. It is also a pity that St. Germans loses its hourly service purely for the operational convenience of Citybus - I assume their double-deckers are too high for the railway bridge there. They need some VRs! There are some good points in the new timetables, mind - for example running buses through from the 79 on to the 12, giving places like Harrowbarrow a direct service to Plymouth. This is less use to Gunnislake as the bus cannot compete with the 40-minute journey on the train. Taking an Olympian though there on the odd occasion is completely different to running a service through there, (potentially up to every 30 minutes each way! I'd also argue an Enviro200 is longer than an Olympian, whilst being just as wide. target travel still have olympians running still. you can see some on the school buses as well like at tor bridge high!